The man who first introduced me to hunting swore by cotton clothing. He would say things like “Cotton dries quicker, is cooler in the heat and warmer in the cold, and it is durable.” I didn’t know any better so I believed him and made sure everything I owned was cotton material. Cotton worked but I saw major flaws in his reasoning. Once my clothing got wet it stayed wet and cold for hours. The cotton was too warm in the heat and too thin for the cold, plus the thin material didn’t stand a chance when walking through cat’s claw, ocotillo, or the harsh country of the Arizona desert. Simply put cotton left me torn. Next I tried itchy, scratchy wool. I read everything I could about traditional archery (waiting at the store for the new Traditional Bowhunter Magazine to arrive) and all the traditionalists raved about the versatility of wool clothing. So I bought myself a full on Browning wool 30 pound pair of pants! It was interesting; cold weather I was super warm, in warm weather I got the faint hint of meat cooking coming from my lower body. I was super excited until I wore them on a hunt in southern Arizona chasing javelina. The wool pants acted like Velcro! Everything I walked by stuck to my pants! Every cactus would deposit all of the needles it had into my pants, in turn the pants would push said needles into my legs and buttocks every time I sat down or my legs rubbed together. By the end of the day, my 30 pound wool pants weight closer to 50 with all the plant life that I had accumulated throughout the day. All of my choices of clothing so far had me searching the internet for a loin cloth and nothing else! It was about this time that I discovered a new camo company with their mantra “turning clothing into gear” and had to give it a try. From the first time I put on my new shiny gear I felt an immediate difference. The clothing was lighter, more comfortable, and moved with me. It was a totally new experience. The one thing that I wasn’t expecting with my newfangled camo was the mortgage I had to take out on my house to get it! I was a walking model out of a catalogue but didn’t have any money to buy tags to go hunting with. I honestly had more money in my outfit then I had in my bow, gun, and optics at the time, but I looked good! I hunted with my new camo for the first time that fall, and quickly realized a major flaw in the synthetic materials it was made of. It absorbed my funk and magnified it. Since I only could afford one outfit at the time, after every day of hunting and hiking around, it had to be washed, or it smelled like a high school boy’s gym shirt he left in his locker over the weekend. You know that pungent smell of B.O., mildew, and dirt. Not pretty. I got over that fact though, because I thought I looked so damn good in it the smell was worth it. The next problem I found with it was durability. Hunting elk or deer in the woods the stuff was great, but take it into the harsh environment of the Arizona desert and all bets were off. Every bush I would pass would grab on to my clothes and try to rip them off of me (I told you I looked good!) this caused tears, runs, and the overall destruction of my shiny new camo in only one short season. I guess it was back to the good old internet to look for the newest camo fashions for this season. What I found was merino wool. I had seen some of the technical hiking apparel companies using merino wool for the last few seasons and was very intrigued by its possibilities in the camo market. 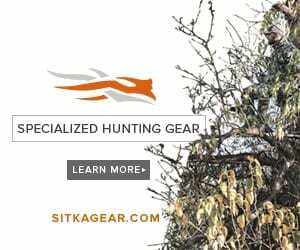 While searching I stumbled onto EvoOutdoors.com and found the holy grail of technical camo clothing. They offered a couple different lines of camo but First Lite camo caught my eye, the main reason being, they made clothing in the ASAT pattern that I had admired since seeing it in the first issue of Traditional Bowhuter I had ever bought. With January archery season having just ended and months before spring bear and turkey I had to find a way to test my new pants, so I did what anyone would do and started wearing them to shoot my bow inside and outside. I wore them to walk down and check the mail. I even wore them to walk around Walmart a couple times. I have come to the conclusion that EvoOutdoors was spot on with their assessment of these pants. We will start with the fit, which is spot on in all the right places. They run true to size, and the hardware (buttons and zippers) are stout and very functional. Even better they are comfortable! Super soft and breathable, it’s almost like you aren’t wearing anything at all. And remember how I said I have been wearing them while performing various tasks around the house, well I haven’t washed them (on purpose) since I got them and have just thrown them in the closet after every time I wore them to test their scent retention properties. It has been two months or so since I received the pants and they have yet to produce the funk that my Sitka would have after a morning of light hiking. I can honestly say that my evolution of camouflage clothing has come to an end thanks to the great customer service from Tracy and Dave at EvoOutoors.com.